I thought I’d write a quick article to support my last one. This is a pretty hard hitting piece of writing. Notice what is not being said. It does not say that the wrath of God is being revealed against people who are doing depraved things. It says that the wrath of God is (present tense) being revealed against people who suppress the truth. And what does this wrath look like, which is being revealed now? God hands people over to the lusts of their bodies. He removes the restraints. So the cause of the wrath is not depravity, the cause is the suppression of the truth, the result of the wrath is depravity. We see that a suppression of the truth results in homosexuality, futile thoughts, darkened hearts, foolishness, and a bunch of other things as listed in the text. And what truth is being suppressed? The knowledge of God which is manifest (evident) in all people. And added to this is an unthankfulness. So the truth that God created all things, and that He created all things to be something specific, is suppressed and even despised. 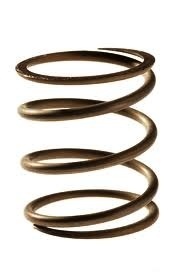 Think of a large spring. To push it down I have to use my whole weight. And once it’s pushed down, I can’t just walk away expecting it to stay down. I have to stay on top of it, always. Even if I let up just a little, that spring is going to pop out from my grip and smack me in the face. When I write an article against atheism, I do not want to help hold down any springs. I want to kick away the hands holding the springs down. Because I know the world view called atheism is a lie, and people need to be woken up from it. A rude awakening seems to be the only thing that might work. Careful, those springs have quite a kick. An excellent book I would recommend at this point is “Secret Thoughts of an Unlikely Convert~An English Professor’s Journey into Christian Faith” by Rosaria Butterfield.